Recently, I met someone, whose passion for the ocean coils up and emanates outward in a beautiful display that educates and inspires. 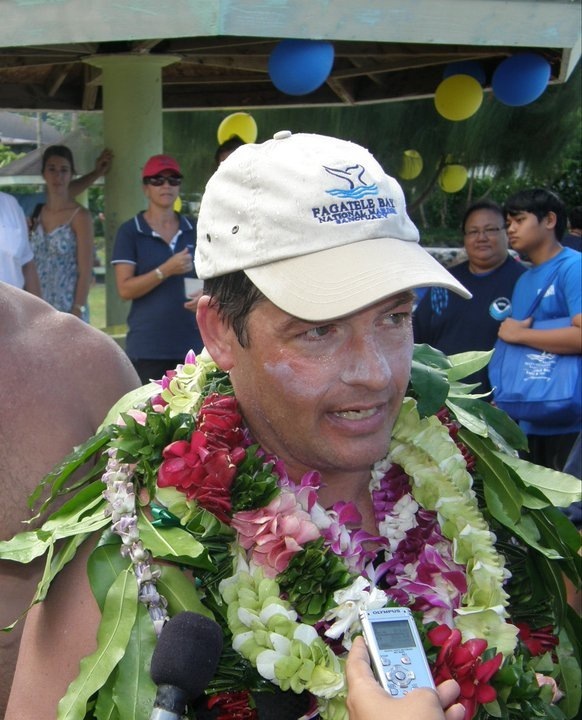 One of the most surprising things that has happened to Chase since following his passion for the oceans, is being given the title Honorary Chief Matae Uila o le Sami, by the High Talking Chief of Aunu’u in American Samoa. “Not really something my guidance counselor mentioned as a possibility when I was growing up back in Memphis, Tennessee.” Chase is developing an open-water safety and ocean conservation program for the youth of America’s most remote territory. Here is Bruckner Chase’s Thank You to the ocean. Thank you, Bruckner for sharing your passion with the world! I just want to say I am newbie to weblog and definitely liked you’re web-site. More than likely I’m want to bookmark your blog post . You amazingly come with fabulous posts. Many thanks for revealing your web site. I simply want to mention I am just new to weblog and seriously loved you’re web blog. Probably I’m planning to bookmark your blog . You really come with perfect stories. Cheers for sharing your website.